Gilded bronze finished in bronze, gold, pewter or silver. Lamps: G9 2X Lamps (included). The innocent drama of a whimsical butterfly through the enchanted journey of life. The Nymph sconce embraces the wild side of this rare and beautiful animal that so gracefully bejewels the lighting fixture. 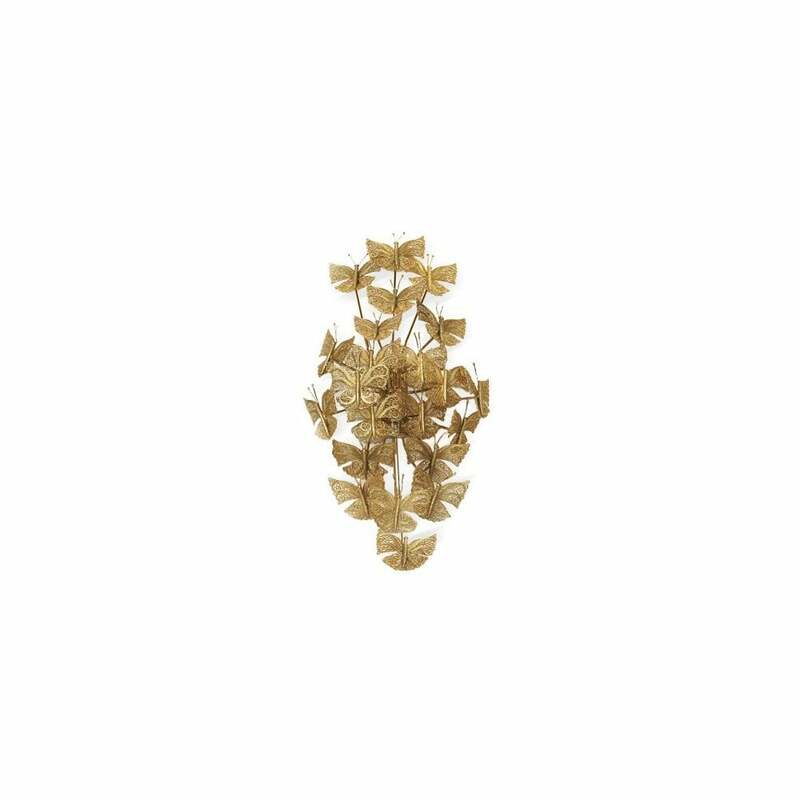 Delicate brass butterflies hover in the air in perfect harmony composing an overblown dramatic silhouette, which gives shape to a luxurious golden sconce. Nymph is a truthful legacy of KOKET’s haute couture experience in exquisite goods, goddess-y shapes and hand-crafted drama.